Running out of free space is a common issue with warehouses and storing large quantities of goods and supplies can be quite challenging. Warehouse owners are responsible for ensuring that the goods are well-protected and organized in an efficient manner and that the shelving systems will withstand the weight of the stored goods. Shelving systems are definitely most commonly used storing solutions in warehouses, as they make the most of the available space and are easy to install, organize and maintain. Although many people find shelves expensive to buy, these storing systems are the most cost-efficient solution a warehouse owner can have. But before you buy shelving online or offline, read the following tips that will make finding the right shelving for your warehouse easier and more effective. New Or Used, It’s Up To You –Most people who buy shelving online or offline, go for used units, but new shelves can be just as cost-efficient as used ones. Used shelves have been in high demand over the recent years only because of their lower investment costs. But if you consider the costs of assembling, disassembling and delivery, new shelves are just as good as used. With new shelving systems, you can be sure you are making a future-proof investment. Determine The Total Weight You Plan To Store – Before buying shelving, determine the weight you plan to store on it in order to ensure you buy a system that will withstand the weight of goods. But don’t think of your current needs only, think about what you may store in the future as well. Instead of buying shelving systems capable of holding extremely large volumes and weights, you need to determine the weight of your goods and choose a shelving with the right capacity. Consider Warehouse Floor Space Layout – This is another important factor in deciding what type of shelving and how many shelving units you need. You warehouse space is limited and it is not all free. The floor space layout of your warehouse may not allow you to effectively store all of your goods and supplies, just as having unsuitable shelving systems. Explore Your Available Shelving Options – Before you buy shelving online, explore your available shelving options. Not all shelving systems are made with the same capacity, design or size. 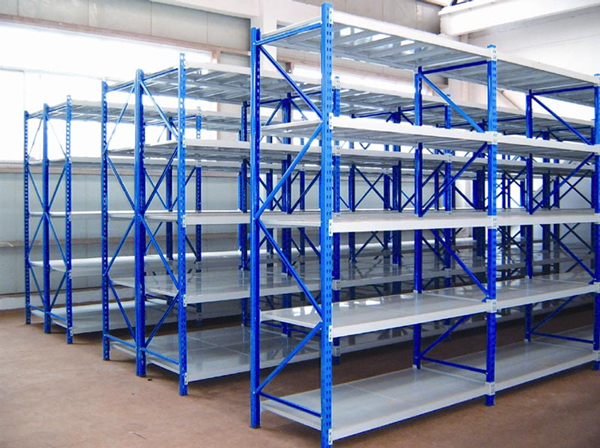 If you cannot find a suitable shelving that works best for your warehouse layout, consider a customized shelving solution. Explore Your Installation Options – Most warehouse owners like their shelving systems to be delivered and installed by the same company that supplies them. This can speed up the overall process and allow you to start working sooner. After you buy shelving online or offline, you can also get an advice from a professional specialized in warehousing solutions to ensure you know how to install your shelving system properly.